We are some boring vegetable eaters in this house – most of the time it’s either corn or green beans. 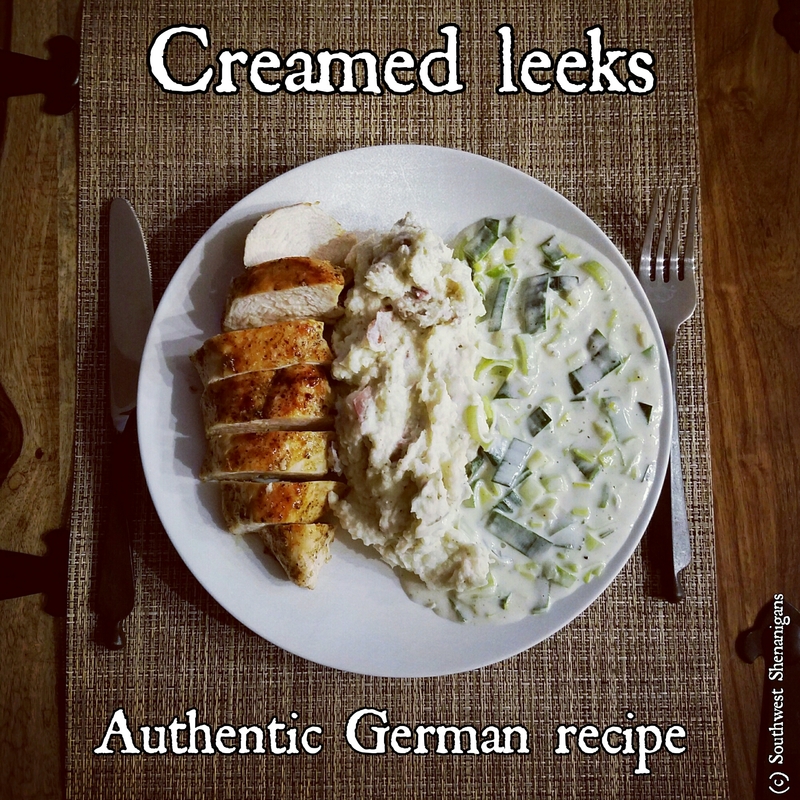 But today I saw a bunch of three beautiful leeks while grocery shopping and decided to introduce my husband to one of my favorite childhood dishes: Creamed leeks with mashed potatoes! When I was in first grade I would eat at the school cafeteria – and my two favorite dishes there were semolina pudding with cinnamon sugar and lots of brown butter, and mashed potatoes with “Rahmporree” – creamed leeks. It is so full of flavor but incredibly easy to make and will make a great new vegetable side to introduce to your family – break the routine and make this rarely served vegetable a staple. I promise, even picky eaters will love it! 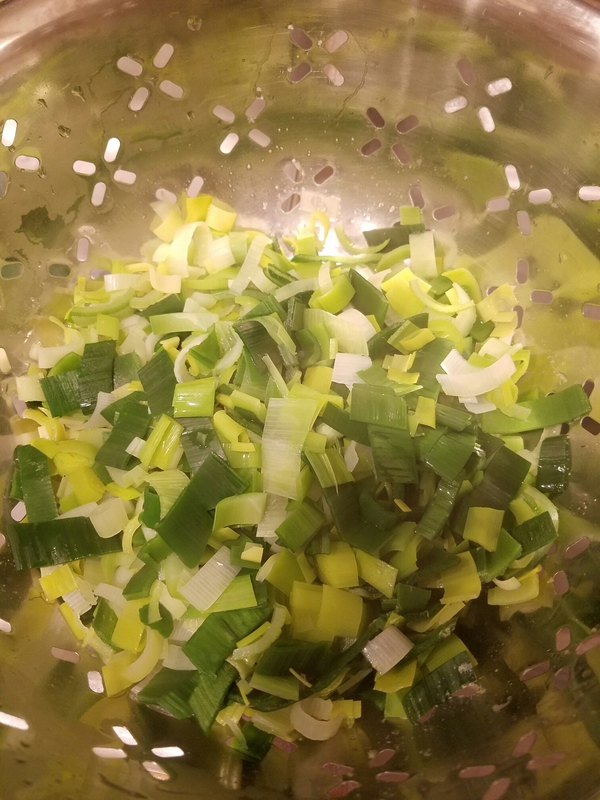 Cut the leeks lengthwise in half and wash thoroughly under running water to remove all the sand. Cut off the first half inch of the green tops and the root. Half the halves again and cut into thin slices. 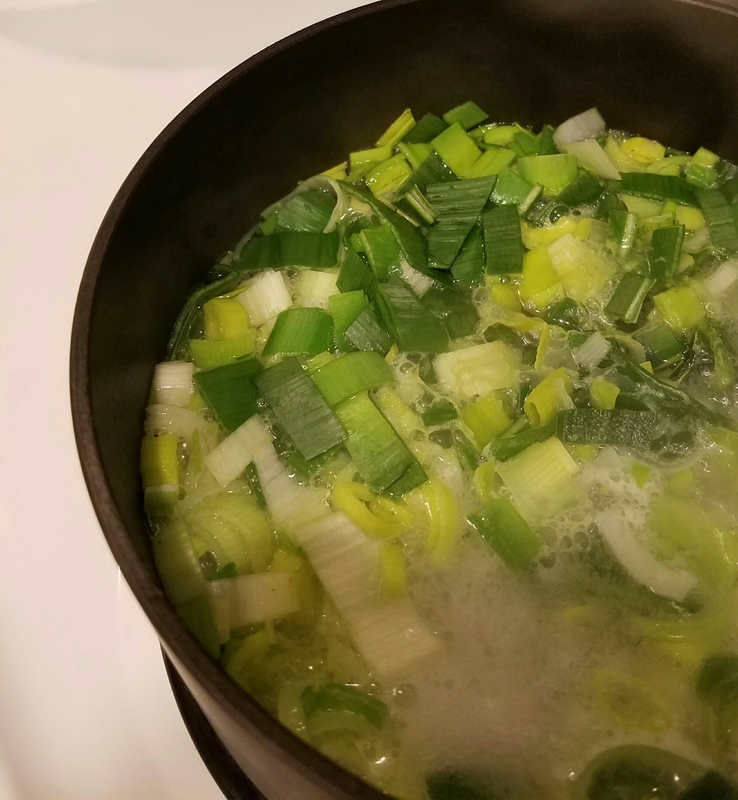 Add to a pot with enough water to cover the leeks and let boil for about 5 minutes. Drain and set aside. 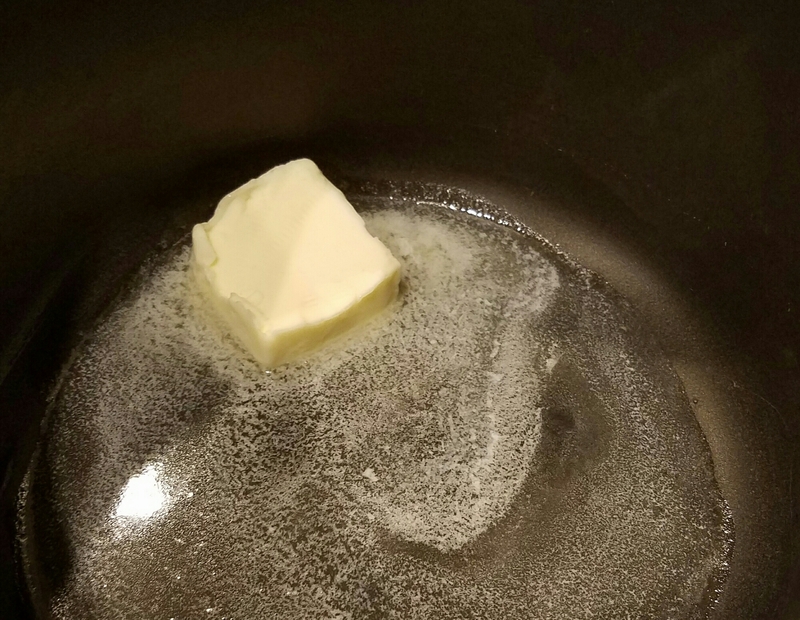 Melt the butter in the pot and add the flour, stir until there are no lumps left and the mixture (called roux) begins to thicken. 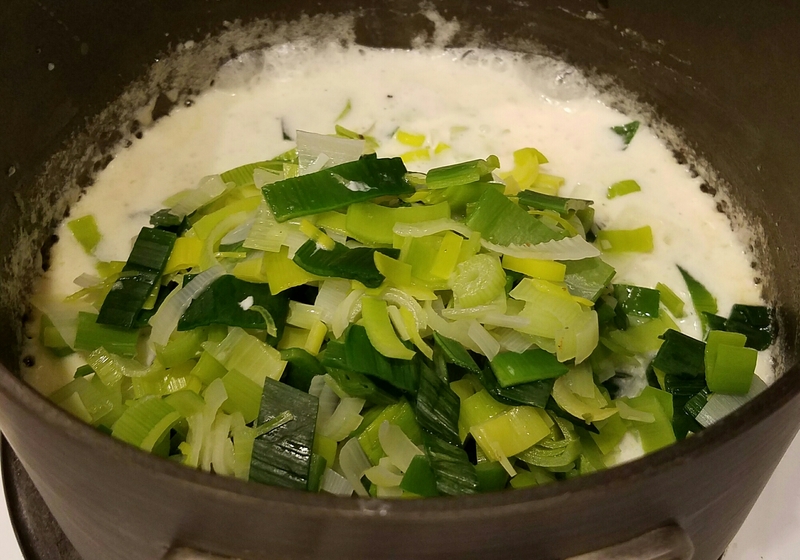 Add leeks, water and cream, bring to a short boil, then reduce heat immediately. Season with salt, pepper and a generous pinch of nutmeg. 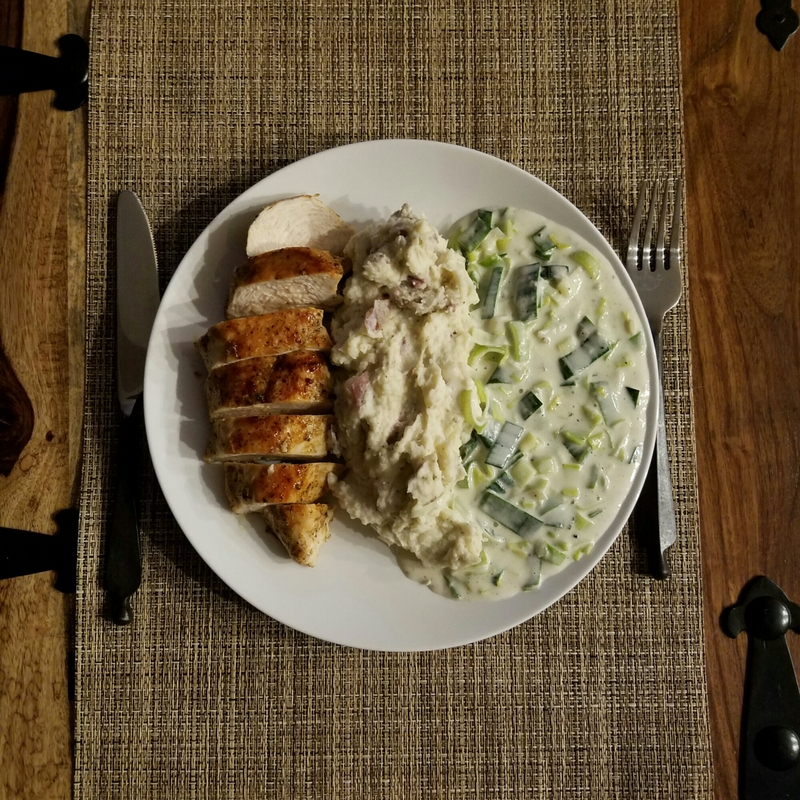 Best served the traditional way with just creamy mashed potatoes to make a hearty vegetarian meal – or add some chicken or pork and it’s just as delicious! This entry was posted in Traditional German. Bookmark the permalink.